The latest XC60 has some Swedish idiosyncrasies, especially in terms of the way it drives, but it’s right up there with the very best when it comes to design sophistication, refinement and interior quality. It’s a very easy vehicle to live with, thanks to its relaxed road manners, elegant, comfortable interior and strong, quiet diesel engines. It’s not cheap, but even the entry model cars come with plenty of kit, including four-wheel-drive, an eight-speed automatic gearbox, a powered boot lid and an extensive list of safety kit. Add to this spacious, airy accommodation, a useful sized boot and affordable running costs, and the XC is worthy of serious consideration. Voted for by the public as the 2018 winner of Auto Trader’s New Car Award for ‘Best Car Launched in the Last Year’. Entry diesel model delivers everything you'll ever need. Top of the range petrol car is hardest to recommend. Petrol hybrid model will return well over 100mpg and around 50g/km. Interested in buying a Volvo XC60? The latest XC60 isn’t a huge stylistic departure from the car it replaces – it’s quite difficult to tell the difference from the back due to those familiar kinked rear lights – but despite the same-same looks, every single panel is new. 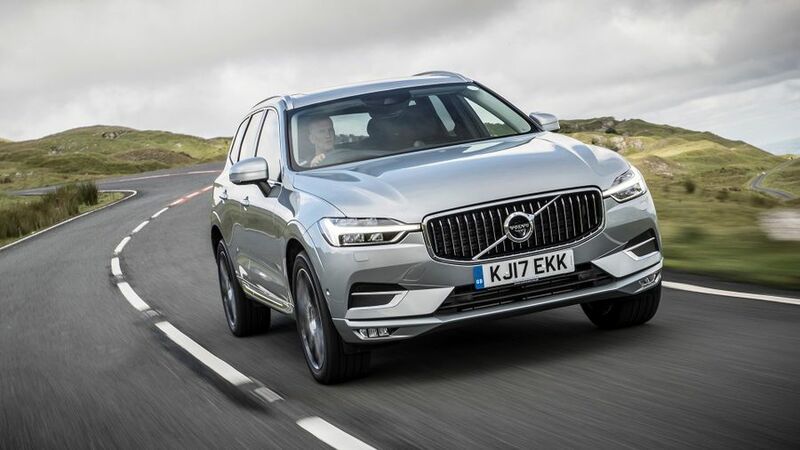 Sharp lines, an imposing grille, funky looking Thor’s hammer LED running lights and graceful proportions all conspire to make sure the XC60 stands out from the plethora of SUVs that dominate our roads. There’ll be little argument that it looks every inch the premium off-roader. You’ll go a long way to find a more tastefully designed interior than that found in the XC60. While the dashboard has a sophisticated look and feel, thanks to swooping gloss panels set against warm wood veneers and leather finishes, the satin chrome air-vent controls and sparkling starter and drive mode controllers add just the right amount of bling to proceedings. The centre of the dashboard is dominated by a large infotainment screen, and although – like all touch-screens – it’s prone to looking quite shabby when it inevitably ends up covered in greasy fingerprints, it does at least feature large fonts and easy-to-hit menus, so it’s a simple device to engage with when driving. Seat quality has always been a Volvo USP, and those in the XC60 don’t disappoint. As well as looking fantastic, thanks to precision stitching, fine grade leathers, elegant, swan-necked head restraints and a neat Swedish flag design embellishment, they also provide superb comfort and excellent side support. While forward visibility is generally good thanks to slim windscreen pillars and rear mirrors mounted on the doors (rather than on the windscreen pillars), rear visibility is less clear-cut. The relatively small rear screen and prominent rear seat head restraints make it a bit tricky when reverse parking. Thankfully, Volvo offers an excellent rear view camera to help overcome the blind spots. Although there are three seat belts in the rear of the XC60, no adult is going to want to travel too far sitting in the centre rear seat. The two outer seat bases are heavily sculpted, leaving a narrow, flat cushion in the middle, and like almost every car in this class, a large transmission tunnel running down the centre of the car takes its toll on centre foot space. At 505 litres, the XC60’s boot falls well short of the Audi Q5’s capacity, but it’s far from pokey. It’s a good shape, too, and it’s easy to pack in all your kit-and-caboodle thanks to near-vertical sides and a load cover that folds out of the way as you open the tailgate. There’s no load lip to overcome, either, which makes loading heavy items easy. 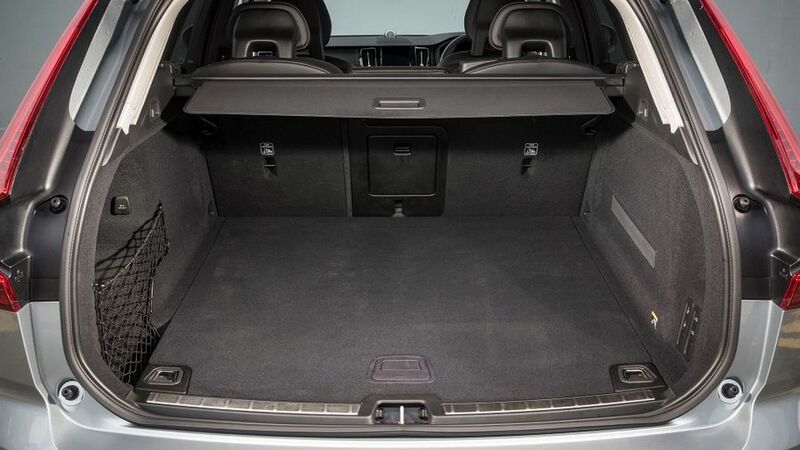 Volvo’s esteemed history of building great estate cars is plainly evident in the way the XC60 gives you a runway-flat load bay when you drop the rear seat backs. All XC60s come with a powered tailgate, which is great if you’re staggering back from the shops weighed down with armfuls of bags and toddlers. That said, it does take a frustratingly pronounced prod of the key fob when trying to operate the tailgate remotely. Also, while the load cover lifts automatically, it doesn’t drop back down automatically, and if you forget to restore it to its former position, you’ll either be driving with an even-more-limited rear view, or hopping back out of the car to push the cover back down. Volvo has developed its own unique take on the way its cars ride and handle, and the results are a bit of a mixed bag. Initially, you get the distinct impression comfort has been prioritised above all else, as a pronounced amount of vertical body movement allows the XC60 to float up and down like a 1970s American sedan. That’s all well and good, and despite the float, the amount of lean you experience in bends isn’t too bad, and there’s also plenty of grip. The steering is rather slow, but you get more of a feeling of connection than you do with pretty much any other Volvo, as it delivers decent amounts of feedback to let you know what the front wheels are up to. Unfortunately, more abrupt cracks and crevices in the road surfaces have a rather disproportionate effect on proceedings, sending a good old thump into the cabin and creating quite a bit of tremor through the bodywork afterwards. And that’s regardless of whether or not you specify your car with the optional air suspension. It does make the car ride fractionally more smoothly than cars on the standard steel suspension, but the difference isn’t enough to justify the considerable extra outlay. Like with most SUVs, the majority of XC60s will be specified with a diesel engine. Two are available, both 2.0-litre units, and the entry-level D4 is all you need. Granted, it’s no ball of fire, but it delivers enough low-rev urgency to get you going with very little effort, and it has no problem picking up its skirts one you’re on the move, either. The more powerful D5 version is brisker, helped in no small part by its use of a clever air compressor system to power up the turbocharger, which perks up the power delivery at low revs. 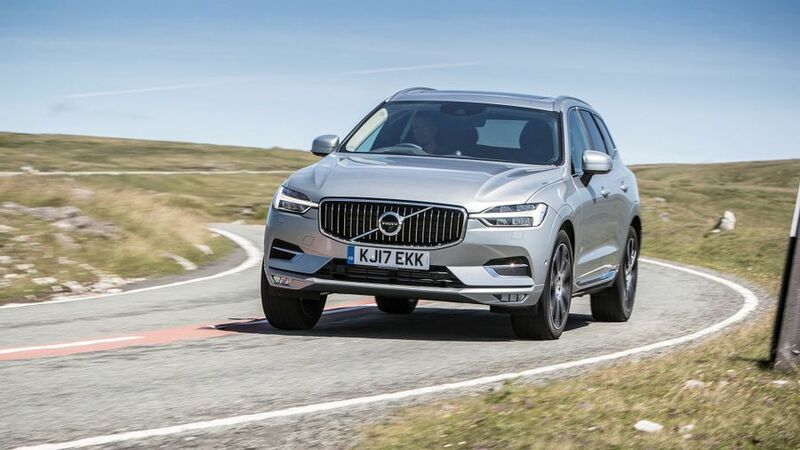 However, because the XC60 is no lightweight, acceleration away from the mark still feels a little less sizzling than you might expect given all the effort that Volvo has gone to. That said, once you’re rolling, the strong mid-range grunt the engine develops gives the car effective overtaking power and relaxed cruising manners. Best of all, both the diesel engines are very quiet and extremely smooth. The petrol engine we’ve tried, the T5 2.0-litre turbo, is similarly quiet and smooth, but it can sound a little raspy and breathless if you really pile the revs on. Also, with less low down urge than the diesels, the T5 doesn’t match quite as well with the XC60’s rather laid-back on-road character. 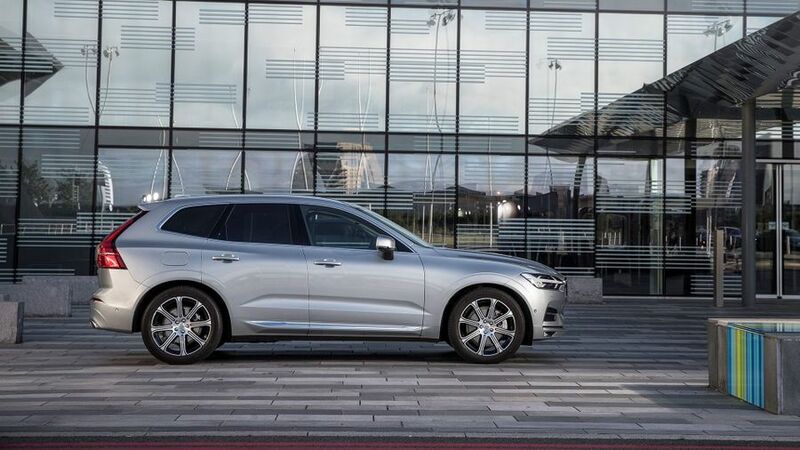 Like the bigger XC90, the XC60 also comes in T8 Twin Engine form, which is a plug-in hybrid that combines an electric motor with the T5 engine. However, we’ve yet to try this version of the car. Most XC60s come with a standard eight-speed automatic gearbox (less powerful versions are offered with a manual, but we've not tried this yet), and the gearshifts are generally very smooth, with just the occasional stumble noticeable if you suddenly demand maximum power from low speeds. 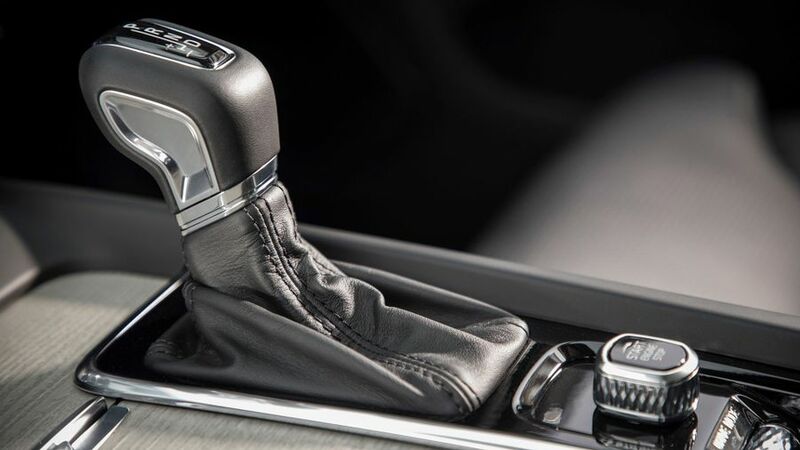 The gear-shifter itself is a bit stiff and can be quite reluctant to shift from drive, to reverse, and back again. 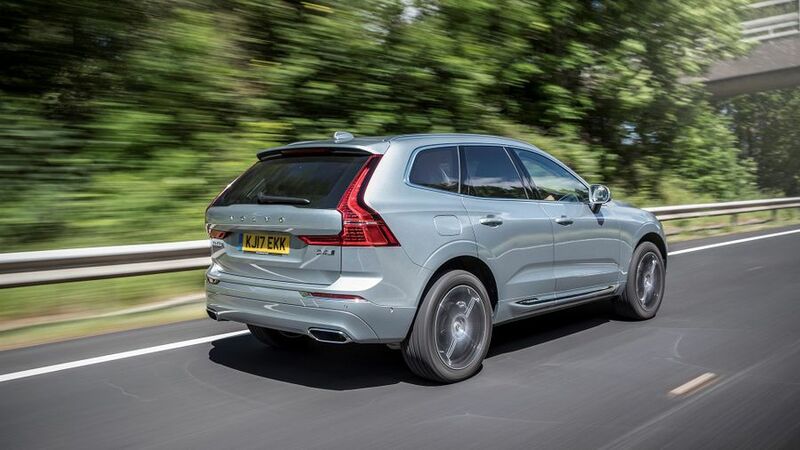 Unlike some four-wheel-drive systems, which tend to increase the levels of tyre noise and axle whirrs that enter the cabin, everything underneath the XC60 is exceptionally well isolated, which all adds to the overall sense of refinement as you mosey along. Prices for the XC60 are pretty much on par with the likes of the Audi Q5 and BMW X3, so it’s not exactly a cheap car. 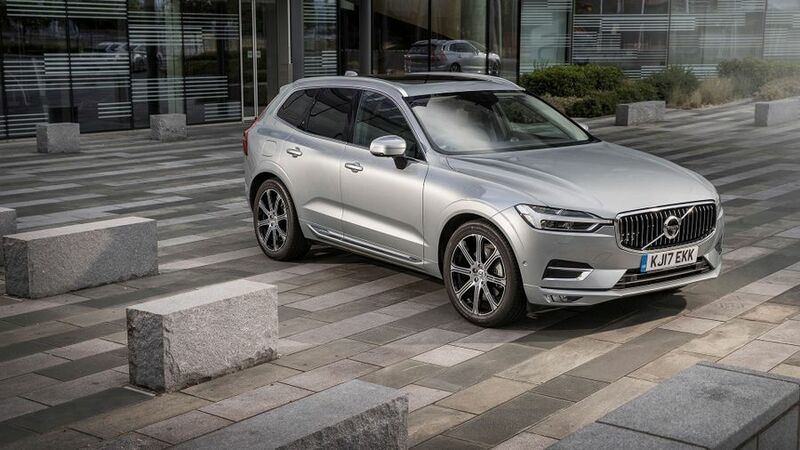 The prestige clout of the Volvo badge is rapidly catching up with those of its German rivals, and given Volvo’s reputation for building robust, safety-focused vehicles, we can only see that desirability increasing, especially among school run parents. That can only be good news for the XC60’s resale values. All the engines available are reasonably economical four-cylinder units, too, and both the diesels are officially capable of more than 50mpg. The T5 petrol isn’t so impressive as it can’t crack the 40mpg mark, but the plug-in hybrid version has an official figure of well over 100mpg, and emits CO2 at a rate of around 50g/km. Volvo has effectively reinvented itself in recent times. Starting with a clean sheet of paper, it has released a raft of newly created models that utilise all-new technology from the ground up. Consequently, we’ll have to wait for quite some time to get some idea as to how reliable they will turn out to be. Volvo has stated that no-one will die in a Volvo by the year 2020. That’s some claim, but when you look at the amount of safety kit in the XC60, you get some idea where the company’s confidence stems from. City Safe, which is an automatic braking system that can recognise vehicles and pedestrians, is standard fit, as is Steering Assist, which will help the driver steer more quickly in an emergency situation. Oncoming Lane Mitigation, which uses cameras and electronics to stop you wandering into the path of traffic is also included. 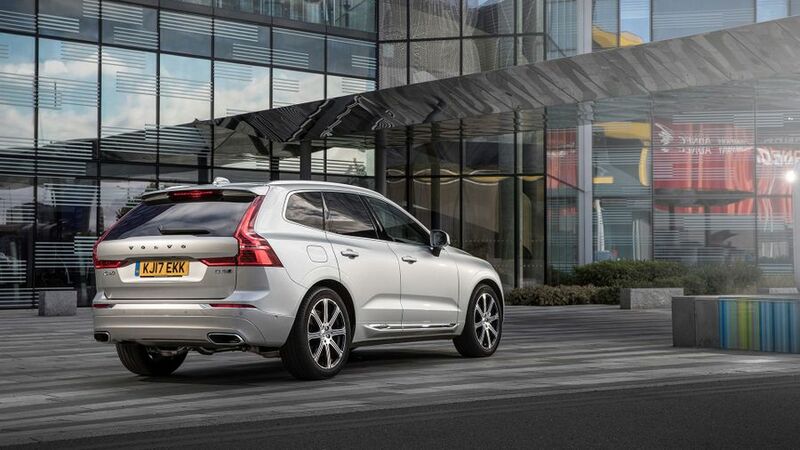 It's no surprise, then, that the XC60 has earned the full five stars in Euro NCAP crash tests, and it's scores were so dazzling that it even managed to outperform those of other recent Volvo model. If you’re happy to pay extra, along with blind spot monitoring, there’s also Pilot Assist, which is a sophisticated cruise control system that can also steer the vehicle, providing there are clear enough white line markings on the road surface. The XC60 is not a cheap car, but even the entry model car gives you lots of toys for your money. 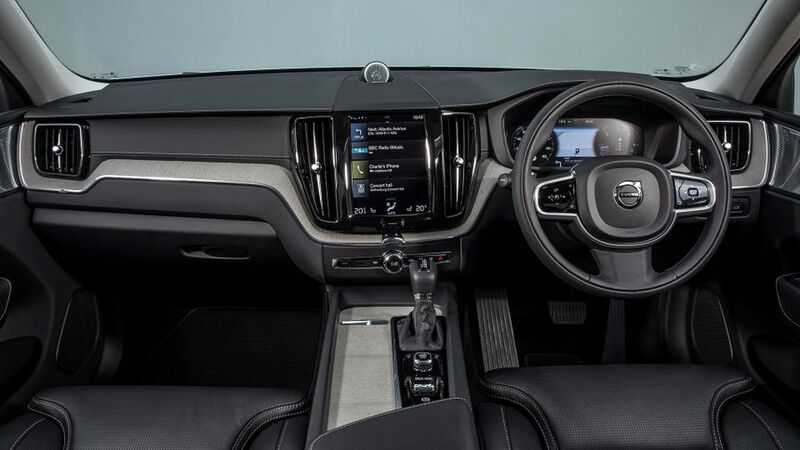 Alongside the 9.0-inch portrait infotainment screen, which features sat-nav, Bluetooth connectivity, DAB radio and voice control activation, you also get leather upholstery, dual-zone climate control, heated front seats, 18-inch alloy wheels and a powered tailgate. Make the step up to the popular R-Design trim, and you get sports seats and a larger instrument cluster, but you also get bigger 19-inch alloys and sports suspension, so you’ll need a test drive to confirm whether you’re happy with this set up as it will undoubtedly have an effect on comfort. Top of the range Inscription trim adds higher grade leather, electric front seat adjustment, and additional chrome detailing. On top of this, each trim can be upgraded by the addition of a Pro package. One example groups together popular winter options, such as heating for the steering wheel, windscreen and wiper blades, and adds headlight washers and front foglights. 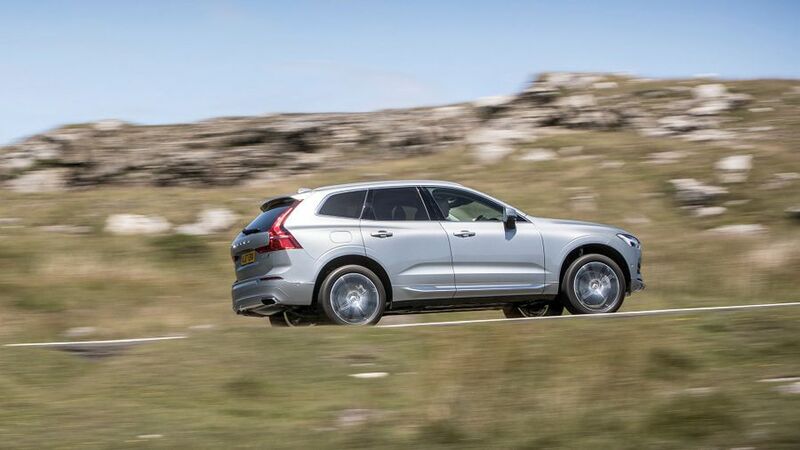 There’s a host of reasons why you should buy an XC60, not least because it has loads of strengths and very few weaknesses. It looks a million dollars inside and out, it’s roomy, comfortable, well-equipped, and stacked with safety kit. While it may not be the most engaging thing to drive, it offers strong performance and excellent refinement. True, it’s not cheap to buy, but it will be affordable to run, and we expect resales values to be very strong, so you’ll recoup a large percentage of your initial outlay when you come to sell it.